Screw Drive Garage Door Openers | Denver Experts | Affordable Door Co. 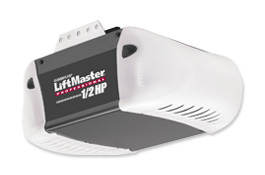 Affordable Door Inc. offers LiftMaster´s® 1/2 HP solid steel Screw Drive Garage Door Opener. This opener features the latest advancements in smooth-running performance with a completely maintenance-free drive system. It is also equipped with LiftMaster's patented Motor Vibration Isolation System (MVIS®) which reduces noise and provides smooth, quiet operation year after year. Best of all, it never needs lubrication - ever! The stronger, simpler one-piece galvanized steel rail results in reduced friction and eliminates binding and the need for lubrication. Call today! We can help you choose the model that's right for you.